Formal obedience training for dogs normally occurs in a class or with a private trainer in a one-on-one setting. Obedience training for dogs begins with very basic obedience training, including teaching the dog to respond to such common commands as “sit”, “come”, “down”, and “stay”. However, obedience training for dogs can progress to train a dog for higher-level competition with such organizations as the United Kennel Club, the Canadian Kennel Club, and the American Kennel Club. Obedience training for dogs requires that a dog obeys the direction or command of a handler. In order for a dog to advance in obedience training, he must respond quickly every time that a command is given by his handler. 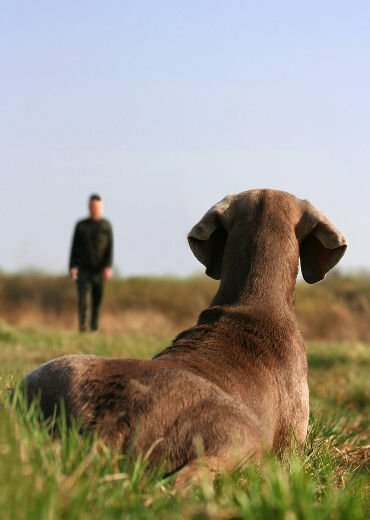 The process of obedience training for dogs is long and arduous the farther that a dog advances in his skill level. If a dog is being trained for the purpose of competition, formal obedience training may be a prerequisite in order to compete. Beginner obedience training for dogs will range from 6 to 10 weeks. This will determine if a dog is able to receive basic communication from a handler in a few simple steps. In most training methods, a dog will receive training for one command at a time. One of the most fundamental skills that a dog must learn at the beginning of training is the ability to walk well on a leash with a handler in order to be eligible for further competitions. For this reason, obedience training for dogs can be used to train a dog to participate in obedience trials sponsored by the American Kennel Club. A dog that receives this advanced training will progress beyond basic commands to compete at a higher level; the dog will be evaluated in a public competition and scored by judges. Run directly to the handler on command without distraction or sniffing along the way. Sit directly in front of the handler without looking to one side or the other. The dogs that earn the top four scores within a class will receive obedience placement ribbons and additional prizes in some cases. Dogs that earn a passing score in the obedience trial will earn what is called a “leg”. A dog must earn a set number of legs in order to compete for a title in the obedience trials, where he will receive a certificate of accomplishment. In addition to the obedience trials listed above, another popular obedience competition is Rally Obedience. This obedience competition involves several warm-up and freestyle exercises for intermediate placement between basic certification from the American Kennel Club and more advanced obedience competitions. Within this intermediate competition, dogs will be led by their handlers through different stations in the heel position. The dogs in the competition will compete at three basic levels, Novice, Advanced, and Excellent, in three different legs for the extended championship title. “American Kennel Club Obedience Regulations.” www.akc.org. N.p., n.d. Web. 2 Dec. 2011. Dog crate training doesn’t have to be an overwhelming or even frustrating task. When you use the right methods, you can successfully crate train your dog without using force or punishment. The first step to crate train your dog is to create a positive association with his crate. This will help your dog to learn that his crate is a place of rest and comfort, not a place intended for punishment. Instead of throwing your dog into a crate to let him get used to his new environment, use a clicker with reward-based training to help your dog acclimate and make a positive association with his crate. This is a truly smart way to approach dog crate training; you will lure the dog into the crate with delicious treats. Once your dog goes into the crate willingly to receive the treats, you can use the sound of a clicker to reinforce the action and encourage good behavior. Place a handful of treats in the crate with the door open. Wait for your dog to notice the treats and enter the crate to eat the treats. Leave the crate door open so that your dog can come and go as he pleases. Each time that he enters the crate to get another treat, click the clicker & give him a treat to reinforce the behavior. Continue this activity for several days until your dog becomes comfortable with the crate. The next time that your dog goes into the crate, close and open the door. That will get him used to seeing the door behind him. Always give him a treat to keep this a positive association. After closing the door for a moment, let the dog out immediately. After several days of this activity, increase the amount of time that the door is closed, starting from 30 seconds up to 2 – 5 minutes. You can give your dog some treats through the door while he is in the crate so that he associates pleasure with the treat. The next step will be for you to step away from the crate. Place your dog in the crate and walk away, then turn back and give your dog a treat. You can do this a few times in a row, but don’t leave him in there yet. In the last exercise, you will combine the amount of time he is in the crate with the door closed and also with you walking away (to another room). Gradually increase the time that your dog is in the crate before rewarding. When letting your dog out of the crate, make it fun by going outside or for a walk. This is by far the most effective method in dog crate training to use to reinforce a positive association with a crate. Instead of feeling like you are locking your dog in a crate for hours at a time as a form of punishment when you leave the house, your dog will start to see dog crate training as a game. When this method is used properly, your dog will love spending time in his crate – believe it or not. After this method has been used for successful dog crate training, you can leave the door of the crate open all day long so that your dog can enter as he pleases. You may find that your dog will enjoy resting and taking a nap inside of the crate because he feels comfortable, safe, and protected. Once this happens, you will know that you have used dog crate training successfully! The entire point of a crate is to give your dog a safe, restricted area to spend time in whenever you leave the house. This will set clear boundaries for your dog so that he feels secure and is not anxious about doing something wrong and getting punished.